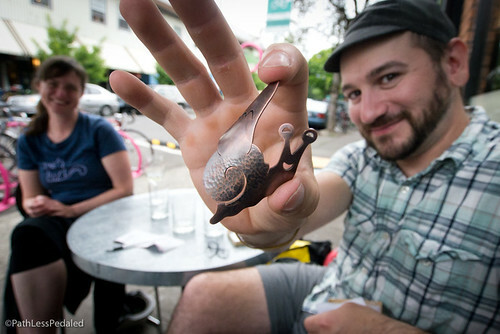 The holidays are upon us and so is the stress of figuring out what to give your bike tourist friend that has everything. 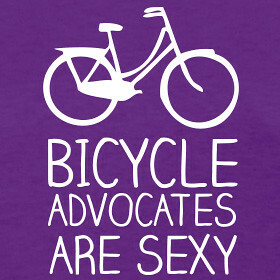 Well, we’ve got a few suggestions from our Marketplace : ) All sales help us keep doing what we are doing: traveling and advocating for bicycle tourism. 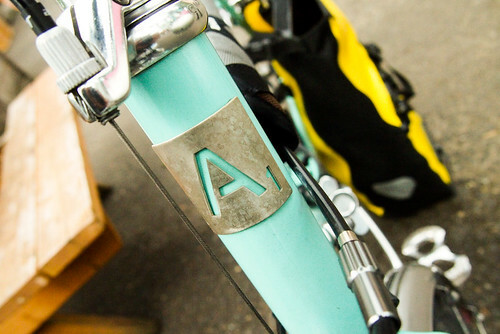 Ever wanted to truly personalize your bicycle? 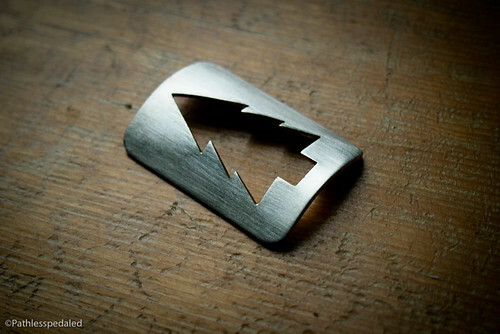 From animals, initials, to any meaningful graphic or glyph, Laura can work with you to turn it into a headbadge. 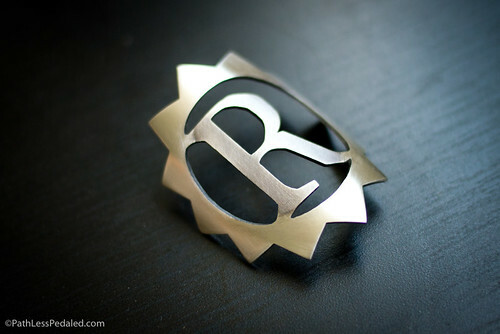 Each one is cut, shaped and patinaed by hand to fit on your bicycle’s headtube. 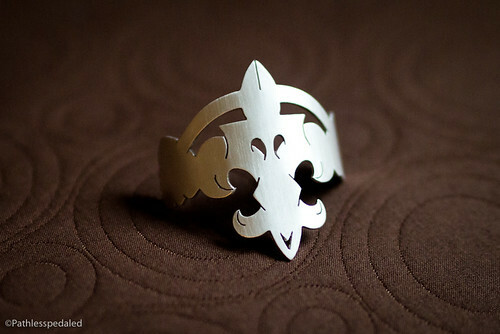 It takes some time to finalize a design and get it made, so contact her today! 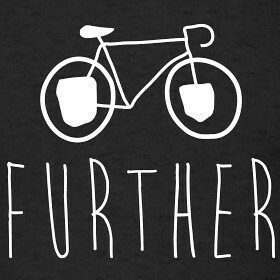 I love a good visual pun and am constantly thinking of new t-shirt designs on long bike rides. Through the wonders of the Internet I can design to my heart’s content without having to burn screens and print in the bathroom anymore. 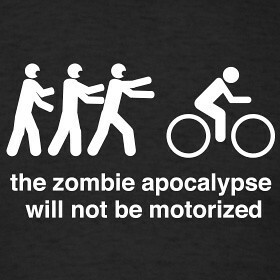 Our store has whimsical bikey designs, bike advocacy shirts, bike touring shirts and of course the famous Zombie Apocalypse shirt. 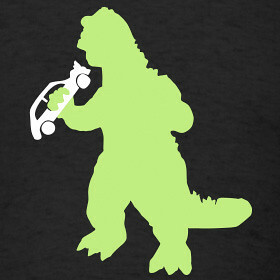 Visit our shirt shop today! If you need something to brighten up your office or if you just LOVE Bromptons, check out our 2013 calendar. 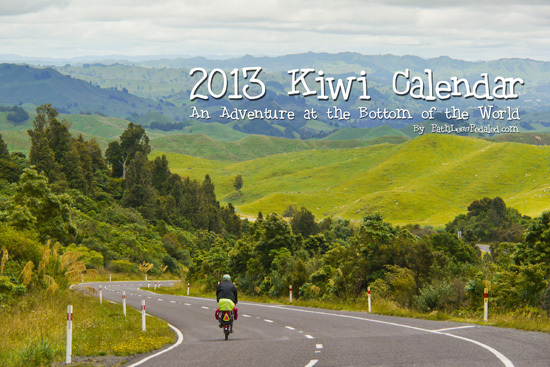 It is filled with 12 great images from our wacky folding bike adventure to New Zealand! Order your calendar here. As always, we’re thankful to our readers who have made this all possible over the years. Happy Holidays!